Galenco Kids Wickie Wash Gel 2in1 250 ml order online. 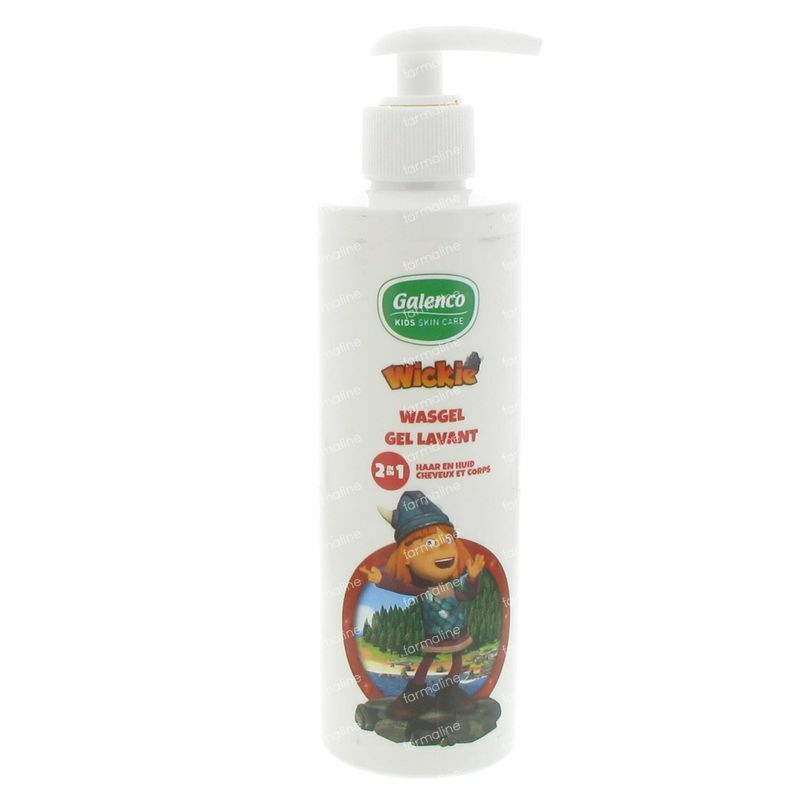 Extra mild cleansing gel for small tough Vikings. Galenco® Wickie Wash Gel cleanses the skin without disrupting the skin barrier. Suitable for hair and body. Contains active ingredients of natural origin. The formula has been developed in order to minimize the risk of allergic reactions and is free of soap, colorants and parabens. With a hypoallergenic perfume. Apply to the wetted skin and hair, massage and rinse well. Aqua, Sodium Laureth Sulfate, Lauryl Glucoside, Coco-Glucoside, Glyceryl Oleate, Sodium Lauroyl Sarcosinate, Sodium Lactate, Parfum, Glyceryl Caprylate, PEG-120 Methyl Glucose Dioleate, Hydroxypropyl Guar Hydroxypropyltrimonium Chloride, Hydrogenated alm Glycerides Citrate, Lecithin, Tocopherol, Ascorbyl Palmitate, Phenoxyethanol, Ethylhexylglycerin, Disodium EDTA, Citric Acid.